An e-mail opposed to vaccinating children recently circulated in Lakewood, NJ. On Motzei Shabbos, Rabbi Dr. Natan Slifkin of RationalistJudaism.com published a draft of the e-mail on his blog along with commentary, resulting in the most widely-read post in the eight-year history of his blog. What follows is a response to the e-mail that The Jewish Press solicited from Rabbi Asher Bush, chairman of the Rabbinical Council of America’s Vaad Halacha. To see the original e-mail, scroll to the bottom of this article. In cases of epidemics, which we are unfortunately facing today on a more regular basis than in recent years (e.g., measles and mumps) because of lower vaccination rates, the well-accepted psak – included in the Mishnah Berurah – is that it is a parental obligation to remove one’s child to safety. 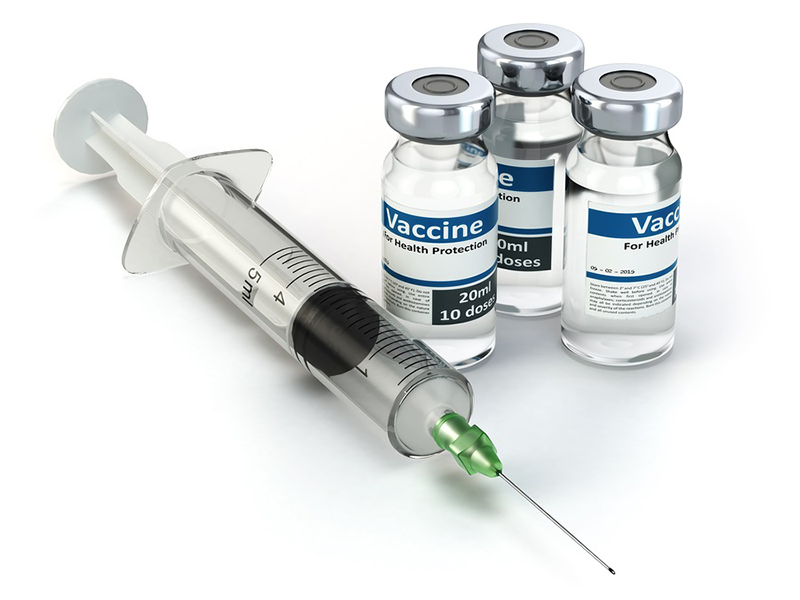 Many contemporary poskim, including Rav Shlomo Zalman Auerbach, Rav Yehoshua Newirth, Rav J. David Bleich, Rav Reuven Feinstein, Rav Hershel Schachter and Rav Mordechai Willig, have ruled that there is no basis in halacha to suggest that vaccinations should be avoided. On the contrary, it is prudent to vaccinate one’s child, and by doing so one fulfills the mitzvah of guarding one’s health. Many poskim view it as the physician’s obligation to attempt to persuade parents to act in the appropriate and prudent manner and have their children vaccinated. It is untrue to state that halacha does not allow vaccinations. States currently offer a religious exemption if the person or clergy states that his religion forbids vaccination. Since all gedolei haposkim of the previous generations did not forbid vaccination, a person signing such a statement is sanctioning falsehood. An even stronger approach was taken by Rav Elyashiv who viewed normal childhood vaccinations as being an obligatory part of parental obligations. This approach is also accepted by Rav Asher Weiss who ruled that it is forbidden for parents to refrain from vaccinating their child. Additionally, Rav Elyashiv (and Rav Ziberstein in a written psak) ruled that the parents in a class have the right to have unvaccinated children excluded from class so as not to cause unnecessary risks. A most disturbing aspect to anti-vaccination groups is that debunked frauds and misinformation are routinely treated as fact. Fears and concerns about vaccine safety are made up or greatly exaggerated while the great benefits of childhood vaccinations are ignored. Conspiracy theories and dubious information from the Internet are viewed as more valid than proven medical facts, with the rare medical error being used as an “I told you so” moment to disprove the entire proposition. Halacha requires one to follow the most mumcheh (expert) doctors when medical information is needed, and every mumcheh professional society – including the CDC, Infectious Diseases Society of America, the Department of Health of every state in the U.S., the Pediatric Infectious Diseases Society – unanimously, and without any hesitation, recommend childhood vaccinations without exception unless medically (very rare) contraindicated. Even more troubling are those who wish to use halacha to further this dangerous agenda. The only way to pretend that an anti-vaccination option exists in halacha is to fabricate risks that don’t exist and ignore the benefits that do exist. It is often presented as if this is a debate amongst equals, the Rambam and Tosafos l’havdil, rather than a non-existent debate since the entire medical community agrees on the great value of childhood vaccinations while only a small fringe touts a selection of discredited and disproven ideas. In terms of the issue of including or excluding children from schools and yeshivos: Every school sets policies in terms of what conduct is to be permitted in the school, including dress codes, hair styles, the use of phones and so much more. The suggestion that a school is not within its rights to exclude unvaccinated students is simply without any basis and goes against both the opinion of many poskim and the Department of Health regulations. Imagine if in today’s climate of fear of school safety and violence a parent were to insist that his or her child had to come to school armed with a weapon for protection; would that also be out of the hands of the school to regulate? It should be noted that states do not obligate religious schools to accept unvaccinated children. Indeed, state laws require vaccination – although they may offer a religious exemption option (that individual schools can ignore). B’siyata D’shmaya we have formed The Vaccine Choice Coalition, a coalition of parents who believe that vaccines should be a choice in frum Jewish communities. This coalition is endorsed and backed by HaRav ——- —— shlit”a, HaRav —- — ———- shlit”a, and HaRav —— —- —- shlit”a. The coalition will provide us with an idea of how many families among our communities are not vaccinating, and will give us strength in numbers to aid in addressing the current pressing issue of schools rejecting or dismissing unvaccinated children. This coalition depends on a collective voice and will not be launched until we reach a minimum of 250 families. If you support the idea that parents should have a right to make the decisions they feel are best for their children’s health and safety, we encourage you to please take a few moments to sign up to join the coalition for your benefit and for the benefit of all other families like yourselves. By joining the coalition you agree to have your name and personal information added to our private database. Your information will never be released to a third party without your permission. If the coalition should find it necessary to release your name in the course of assisting its members you may receive an email requesting your permission. The success of this endeavor is contingent on enlisting as many pro vaccine-choice families as possible. Please take the time to reach out to your friends and family who don’t vaccinate and encourage them to join.